Minister of State for PHE, Irrigation and Flood Control, Abdul Majid Padder said to overcome shortage of water supply in partially covered villages 198 Water Supply Schemes (WSS) are ongoing in Rajouri district for improvement and augmentation of water supply.The Minister said this while replying to a question by Vibodh Gupta in the Legislative Council today. The Minister said that a new scheme for improvement and augmentation of Rajouri town has been prepared and proposed for funding under LIC loan assistance during the current financial. He added that as soon as funds are received old and worn out pipes shall be replaced with improve diameters. 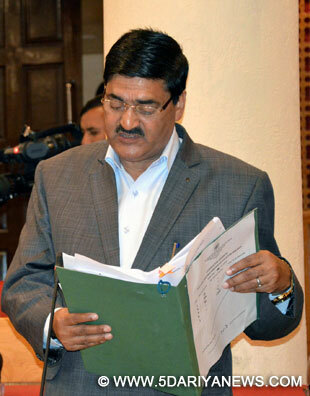 The Minister informed the House that there are around 198 village wise ongoing schemes of PHE under State and central funding for Rajouri district. He further informed that the existing staff position of PHE in Rajouri district include 30 gazetted, 35 non-gazetted and 1149 ministerial/field staff, while as vacancies in the PHE department in Rajouri district include 5 gazetted, 10 non-gazetted and 36 ministerial/field staff.Yasir Reshi and Surinder Choudhary raised supplementaries to the main question.